As any instructor, I often get asked about how I train, if there is a secret, what my focus is. The real secret of many instructors is very simple. As in any other profession, if you do something 20 to 40+ hours on a weekly basis, if you meticulously work on the details, if you constantly expand your goals, you will get good. So, how do I train? I train through teaching. I learn through answering questions. I advance by working on making others good. I made it my goal, to consistently work on improving my learning, training and teaching methodology. Here are some of my not so secret methods. One needs to be very observant, methodical and critical. Always question and review your own progress. Never take any of your skills for granted. They only last so far. Never think you are invincible, just because you are a martial arts teacher or martial arts master. If challenged, everybody gets dropped at some point by someone. Be a good teacher or a good fighter. Very few can combine both. In any of the Wing Tsun programs I am teaching, if beginner, intermediate or advanced, I employ one or more of the following sets, or variations within. 1. I work in various speeds, from complete slow motion, somebody looks at you for a moment and doesn’t even recognize that you are moving, to regular speed and to the point of the highest speed I can safely train with. And every level in between. 2. I use different levels of strength, the tiniest amount, that can’t even be felt, to medium strength and eventually everything I’ve personally got. The amount varies, relative to the student’s strength. 3. I move within a sliding scale of distance. Far apart, as long as it is efficient, within an ideal distance apart from the training partner, to the physically closest distance to the other person. 1. I limit myself to only using the solutions arising from the concepts, strategies and tactics as preserved within the Siu-Nim-Tau form. 2. I limit myself to only using the solutions arising from the concepts, strategies and tactics as delivered by the Cham-Kiu form. 3. I limit myself to only using the solutions arising from the concepts, strategies and tactics as contained within the Biu-Tze form. 4. I limit myself to only using the solutions arising from the concepts, strategies and tactics of the Wooden Dummy form. 1. I limit all my actions to purely defending myself, regardless of the technical origin within the Wing Tsun forms. 2. I limit all my actions to purely delivering attacks, regardless of the technical origin within the Wing Tsun forms. 1. If defending or attacking or controlling, in any program, I work with all the different steps available with the Wing Tsun system, to merge them eventually into seamless motion. 2. If defending or attacking or controlling, in any program, I limit myself to only using Wing Tsun’s turning stances in all variations, while not stepping. 3. If defending or attacking or controlling, in any program, I train by only shifting my body position, work on avoiding footwork or turning. 4. If defending or attacking or controlling, in Chi-Sau or Lat-Sau or any free application, I continue for as long as planned while remaining on my toes. Sliding on the floor, stepping, moving, shifting balance and body weight. 5. If defending or attacking or controlling, in Chi-Sau or Lat-Sau or any free application, I continue for as long as planned while remaining on my heels. Sliding on the floor, stepping, moving, shifting balance and body weight. 1. Whatever my intention is, to defend myself or attack in a particular way, within a pre-arranged technical exercise program (Chi-Sau, Lat-Sau, etc. ), I think the planned action, until it works every single time, regardless of the attempt of the training partner to counter my action. 2. Whatever my intention is, to defend myself or attack in a particular way, within a pre-arranged technical exercise program, I now announce the planned action, say it out loud, until it works every single time, regardless of the attempt of the training partner to foil my plans. I use all five sets and the sixteen variations in any possible combination, in any of the technical programs. It doesn’t matter if I continue to learn, if I train the next level skill I want to achieve, or while teaching. By now you know, that for me learning, training and teaching is the same. They are only different facets of the journey to another level of skill and knowledge. Honour tradition by being innovative. Every art evolves, even a martial art. Don’t get stuck in a repetitive mode. The following is not limited to Wing Tsun. You can extend the problem many of us face to fitness classes, running meetups, swimming classes and just about any physical activity. We all have busy schedules, juggle life, work, career, family, free time, hobbies, goals, dreams. You can go dancing, but only once every four weeks. Not enough? Wouldn’t go dancing at all? Fancy a nice dinner? (insert your favourite food) Busy in the evenings with baby, new job? Every now and then, one evening. Wouldn’t you go for that one dinner, once in a while? Invited to a party (bbq, wedding, wine tasting, etc). Too little time? Your schedule opened up for that very evening or Sunday afternoon. Wouldn’t go, because you usually don’t have time. 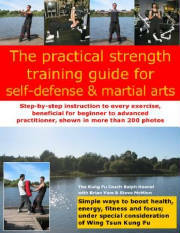 We know the four Wing Tsun fighting and the four strength principles, a beginner often learns. Let’s call them the four enjoyment principles. Somebody else told me, to call it the “Four principles of success”. What do you think? Go to your martial arts class. Swim a few rounds in the pool. Too little? Who cares. Enjoy life when you can. Don’t cheat yourself with false excuses. I wish I could? You can! You really do. But you must chose to do so. Enjoy the moment. Don’t put the pressure of having to succeed at something on you. Have fun! Here are four of my older, yet very relevant blog posts. 1. "In pain, can’t train? Sixty-two year old Ilse, plus 3 other examples tell you to do something. Don’t wait for the perfect day." Don't know how to restart? 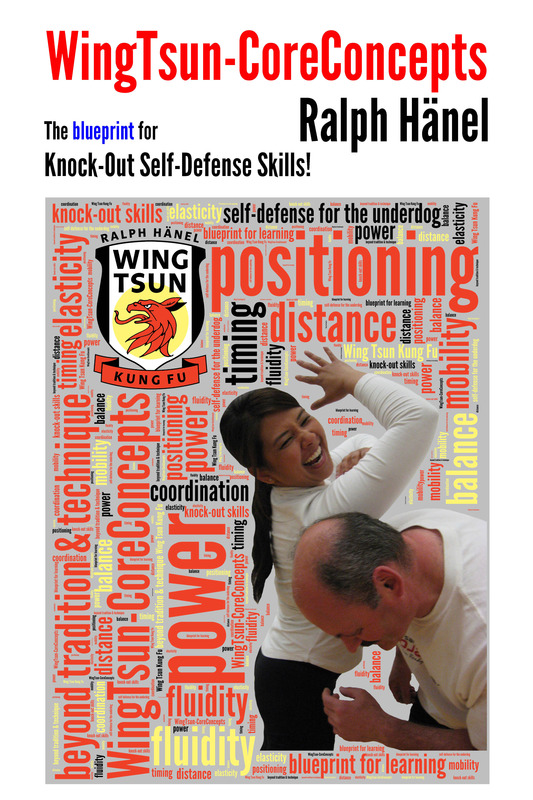 What does it mean for your Wing Tsun solo training? For your functional strength and skill? Besides taking group classes, I met up with training partners outside of classes, and also did a lot of solo training. This is the time, when I began to discover the power of red and green. It happened at the end of the 1970’s during my years of training Japanese Jiu-Jitsu. A time, when books about martial arts didn’t exist in East Germany and videos weren’t even a thing yet. I wrote down the techniques, the Jiu-Jitsu drills, on large sheets of paper. An overview of my training contents. I hung up the paper sheets at the back of the door. Then I created another sheet of paper, marking about ten weeks and all the days of the week on one sheet. Then I started to assign different Jiu-Jitsu solo training drills to each one of the days of the week. Yet again, it’s all about choices. Believe me, you won’t like a lot of writing in RED on your weekly or monthly training sheets. You will want to see a lot more GREEN. Hang them up. Where you see your own red and green, every single day. I continued the same routine, when I began my WingTsun training in 1984. Now I wrote down parts of the Siu-Nim-Tau form and the objectives I hoped to achieve; and naturally a routine for chain-punches, then the holy grail of WT. You goal is, to eventually deliver 1,000 non-stop chain punches, so that #999 is as fast and powerful a knock-out punch, as punch #1 was. I continued to make notes in green when I exercised successfully, even if for once not highly motivated. I wrote in red when a legitimate problem interrupted my training, but also to point out the days when mere excuses hindered me from advancing. The initial limitation of not tilting, shifting, nor moving the shoulder forward, is to isolate muscle groups, to train muscles, ligaments, tendons between opposing joints, between shoulder and elbow, and between elbow and wrist, plus the most important training of the fascia-tissue throughout. Eventually the shoulder will come forward, move, lift, lower, which is in the end of course an important part of the delivery of any strike, when it has evolved into a continuous whole-body motion. You do each set for one week, with daily variations as outlined above. During the end of the 1990’s when web sites started to be a big deal, with moving gif’s and the oh so important page counters, I put up an online chain-punching web page. Some 20 years old, but it still exists. Let the green and red work for you! Happy training! 1. “No”; the invisible enemy. 2. Embrace the weird, strange and odd! 3. Movement vs. speed and power. This is an enemy that creeps up very often. Many times, with the best intentions of improving one’s training. Both training partners know the steps 1, 2 and 3 for their next exercise. Partner A throws a punch, partner B is supposed to respond in a particular way, which allows partner A to finish the example drill. But instead, partner B combats partner A’s finish and makes it impossible for either one to train the components successfully. a) Let each training partner ‘win’ their part of an exercise. b) Understand the idea behind each step. c) Work with each other, instead of against each other, before even any new skill has been achieved. Support each other’s training. d) Make mistakes, on purpose. e) The more you know what can go wrong and when and how, the better will be the ‘right’ response. f) If you always oppose, you will only find resistance. Learn to say YES! Yin and Yang, baby! When an exercise seems weird, move and find out why. If a drill appears very strange; move and find out what it is about. If an instruction looks kind of odd, move and try to feel where this odd coaching moment leads you to. Don’t fear or straight away ignore or foil an attempt to bring your skill and knowledge to the next level. It feels weird, strange and odd for a reason. You can’t do it. If your technique aka movement feels weak, train it. Another technique aka movement feels much better? Great. Train rather your weak spots. Don’t believe a drill or technique or movement is good? Well, duh. It’s not yours, yet. Once you have mastered a set of ideas, then is the time to choose what suits you better. Embrace the weird, strange and odd! You are in the middle of an exercise. To make it work, it is quite normal that an individual uses their speed and strength to succeed. But, yes there is a big BUT, it doesn’t make you better. Why not? If your skill hasn’t been perfected, a faster and or stronger training partner will beat you at your game. Take away strength when you train. Feel, recognize what the exercise is about. Take away speed when you train. Experience, understand what the exercise is supposed to improve. This does at no time mean, be weak. That never means, stay weak. If in doubt, always get stronger. A sprinter cannot simply wish to run the faster. A weightlifter cannot just wish to bench-press 40 more pounds. A lot of hard work, maybe months go into that achievement. Why would you attempt to perform an exercise faster? Why would you overwhelm your weaker training partner with your strength? Improve your movement! Better movement is the key! You train with each other until you own the skill, the movement. Once it works at various speeds, under many conditions; then comes the time to add your strength, your speed. Now test the skill in an uncooperative environment. Now hinder each others’ efforts, make it difficult. Now test if different skill sets begin to interact, begin to connect and allow you to defend yourself under increasing stress in a chaotic scenario. Better movement doesn’t make you faster or stronger, but it can support making your current level of strength and speed work. Better movement can help you to combat greater speed and strength. Improvement is found in the little things. Learn to say YES! Yin and Yang, baby! Just a week ahead of the 150th Canada Day, we held on June 24th the latest open-air bonus class for members and friends of Wing Tsun Kung Fu Vancouver, the first Canadian WT branch (est. 1994). The frame was set by an exercise during which our training partner pushes us with both hands and we enter into this attack. Now the interpretations reached from Pak-Sau & Man-Sau, Pak-Sau & Biu-Tze-Sau, Pak-Sau & Fak-Sau. How come? The names or terms are only describing the isolated temporary function of our arm-technique. This of course changes every fraction of a moment, also depending on the input by our training partner. 1. We initially worked on the importance of your awareness while defending yourself / attacking the attacker. This extends to your awareness of how and when to talk your way out of an confrontation, to get away, or to instantly respond the moment the scenario turns physical. All leading to a general awareness of your surroundings, preventing any conflict before it happens. 2. Be mindful of your training exercises. Ask yourself if you know what you are doing, when, why and how. Be alert as to what you want to achieve. How does your progress manifest? Be mindful of the main factors, distance, timing, hand- and foot-work coordination, power generation and delivery, balance, fluid whole-body motion and more. 3. I often talk about over-acting your delivery. Become aware of the muscle-chains involved. How does it feel? What should you feel in regard to power generation. Not unlike a workout in the gym, feel your muscles, feel how to connect from one muscle group to the next. Start BIG, then perform step by step smaller movements. Until it looks like you are barely doing anything. how mobile are your ankles or do you lose balance? Can you more or less bend your knees, to lower your center of gravity? Do you hips generate rotational forces? Is your spine compressing or elongating? Are you aware of the movement of your rib cage? Do your shoulders lock up, or are they an elastic part of your movement chains? Can you deflect attacks or generate attacking force by using your shoulders, elbows and wrists in sequence? We are, of course, not just talking about the joints, rather the muscles, ligaments, tendons and fascia tissue. When defending yourself or attacking the attacker; either way, you have two major contact points that need to adjust to and with each other. Example: When a defensive contact happens somewhere on your arms, often all the attention is on the upper-body. Suddenly the stance becomes rigid or fragile. Toes come up, losing balance backwards. I call that the “questioning toes”. Or the heels come up, losing balance forward, I call that the “inquisitive heels”. You give a problem a name; now you become aware, notice sooner and can often improve faster. Example: Some grind their stance into the ground so that the attacks or defenses shatter, since this time all the attention is on the lower body. As with everything in life, so in your training, there is a yin and yang. Bandwidth of performance (expressive delivery). In the video I am showing one example out of each one of the 19 Wing Tsun Chi-Sau sections. During last Wednesday’s class, we once again reviewed the 1st section of Wing Tsun Chi-Sau. I never get tired of it. For me it's a key section that lays the foundation for any other Chi-Sau training. Once we went through above points, about ten minutes had already passed! This is simply a visualization of one of our training methods. The desired result is a continuous whole-body motion, maintaining a for us favourable mobile and elastic structure whilst setting up the training partner, forcing him into pushing or pulling actions. Either one leads due to our setup to the training partner’s attempt to close or open our structure. Many of us remember the push button toy version of, for example, a giraffe or a donkey. They are also called floppy toys, thumb toys, collapsing toys, dancing toys or bendy toys. The hollow base contains the pushbutton and a spring. The strings, often fishing line, attach to the pushbutton and are fed up through the figure which sits on top of the base. Now imagine the point of contact established with our training partner is this push-button. May it be on our forearm, elbow, upper arm, front or side of the shoulder, even the chest. Two typical training scenarios of many, assuming contact via forearm to forearm. 1. The Wing Tsun response Tan-Sau has been initiated, yet the elbow locks in a certain angle. The whole arm ends up being tense and is being used like a handle by the training partner to instantly push us out of balance. 2. The partner’s action causes the Wing Tsun response Bong-Sau. The elbow angle between upper and forearm gets smaller leading to an collapsing position, one gets hit. The right training will enable you to maintain a chain-linked structure. The angles of the wrist, elbow and shoulder in relation to the attack and each other are floating, neither one in this chain is resisting nor collapsing. Any impact or pushing is being sent like a wave through the contact point into our structure, often via wrist, elbow, shoulder, spine, hips, knees, ankles. The visualized push-button toy effect. To achieve even better results, I make it for myself more difficult by training Chi-Sau while under any circumstances remaining on my toes. Or I stand on my heels. Might feel or look initially a bit weird. But it dramatically increases your ability to adjust to attacks, pulling and pushing, grappling. You will greatly improve your balance. It also works the other way around. Almost like pushing yourself off the ground, the chain works through your ankles, knees, hips, spine, shoulders, elbows and wrists into the stance of your training partner, often surprisingly easy pushing him out of balance or effortlessly crushing his positions. To clarify the “pushing yourself off the ground” part. You initially learn in (Wing Tsun) Chi-Sau to feel and interpret your partner’s actions via your arms. Now imagine your feet having a similar awareness of the ground. It’s OK if it sounds a bit silly. Your whole body is a shock absorber or a whip between the floor and the contact point with your training partner. Don’t cheat with speed or strength. Always train slow first. And I mean really slow. Somebody who for a moment looks at your training, will think that you are not moving at all. Yes, that slow. All that is OK, if you compare the final achievement of your training. It is not suitable to build, let alone finetune one’s skills. And it only favours the stronger and faster student. Remember, we are talking about a training method. I am not saying that one should fight juiceless, without speed or strength. 1. I make contact. Partner pushes or punches and collapses my positions. 2. I make contact. Partner pushes or punches and due to my tension, I get pushed back. 3. I make contact. Partner pushes or punches and I minimally respond and have already hit back. Then I ask about the difference in how the contact was felt in all three scenarios and the answer is always, that all three felt the same. So, it’s not about the amount of pressure but its quality and that of the movement. A last example. Have you ever in an elevator closed your eyes and touched the braille, trying to guess what floor it announces? Most of us feel the raised dots but can’t read it at all. But with training it can be read. A blind person can read an embossed braille newspaper very fast, that doesn’t mean he would push holes into the paper. Meaning, you can have sufficient pressure that the partner can barely feel or not at all. Important though is the fluid mobility and maintenance of an elastic structure, which should neither collapse nor resist. Once you move well and have achieved above qualities, now you add during training your speed and your functional strength. In the end, in your Wing Tsun, your elasticity, mobility, fluidity and power, all come together. To be a beginner again. Discover the Kung Fu Secret. Thinking of it, currently in November of 2016. It happened almost 40 years ago. I stepped for the first time into the University Judo Club in Rostock (HSG Südstadt). Somebody helped me in the locker room to figure out how to tie up that brand-new white belt. Loud noises came from the mats. We were about to be introduced to the first falling exercises (Ukemi-Waza). Just making that loud noise, slapping the mat while falling seemed very manly. Very exciting. The instructor with his washed out brown belt was preparing for his upcoming black-belt test. Judo throws, breaking balance, bleeding elbows, getting the wind knocked out of you, gasping for air, eying up what comes next, yellow belt, manly sweat in the air, orange belt, feeling almost motion sick from the sheer amount of falling exercises. About a year later, I switched to Jiu-Jitsu. The oldest members, around 17, 18, were juggling with strange round weights (kettlebells). I was 14 years old. The about 70-year-old Sensei, Johannes Trybull, appeared on the mats, doing several falling exercises. I remember thinking how somebody that ancient, could still move this powerful. A handshake turned into a painful fingerlock, throwing me on the ground. It really hurt, but damn did I want to be able to do that to someone else. More falling exercises, now on concrete floors. Even the kettlebell dropped on toes, wasn’t really that bad. You want to learn to defend yourself? You get every now and then hurt. It was that simple. It was exciting. 1980, the first karate katas in the backyard. Long evening walks, checking the neighbourhood buildings for roof repairs, grabbing quickly a stack of roof shingles. I remember one breaking test in particular. Some fifteen roof shingles piled up, gasoline poured over it, match, fire, lights off. Guests said, that the flames went for a moment up my arm while breaking the tiles. How much cooler can you be as an 18 year old. In 1984 I started training the Siu-Nim-Tau, chain-punches, partner exercises, exchanged letters and postcards with my future Si-Fu, Keith Kernspecht. Soon I faced my first WT instructor, a mighty 1st Technician Grade. WT people might chuckle now. It was the mid 80’s. First level TG’s were the kings. One hand still in his pants pocket, he knocked three of us young guys down. I wanted that skill. Now it is 2016. I still enjoy showing every beginner the very basics. To be a beginner again. Ask yourself what single point you want to achieve in tonight’s class? Show up! Get involved. Don’t wait at the sidelines. Communicate with your training partner. Remember the magic of the first hours of training. Remember your goals. Did you lose sight of them? I see so many, even instructors jump from one martial art to another. Everywhere seeking the “thing”. Challenge yourself. Set goals. Write them down. Ask your instructor for help. Don’t wait to be entertained. Find something new, even in what seems the most basic exercise. To be a beginner again. That is the Kung Fu secret. Train hard. Ask. Make others better. Analyze yourself. Only you can make yourself good. Don’t wait for something to happen. Don’t just jump on the next bandwagon, the next trend. Kung Fu is hard work. Here is to the first moment when trying to defend against the attacker, trying to counter-attack him, trying to bridge the gap. Let’s look at the three major options in case a situation is about to escalate into a full scale physical confrontation. 1. Try to dissolve it through verbal communication. Assume a non-threatening position that will protect you, yet also enables you to be ready to instantly fight the attacker. 2. Always try to walk away. Even run away. It doesn’t make you a wussie. 3. Most important: Through a combination of healthy confidence and natural awareness as the result of intense training, you learn not to be tagged as a victim in the first place, or to recognize potentially dangerous situations before they happen. Unfortunately, in many scenarios one or more of the following four problems occur. 1. The defender, the good guy is trying to just stop the attack, still in disbelief about what’s about to unfold, holding the arms of the attacker, holding the attacker at arms length, ending up being overrun by sudden attacks. 2. The attempt to traditionally defend without major continuous counter-attacks, thus not stopping the attacker. Same result as in the first point. 3. The good guy is attacking the assailant without sufficient defenses, for example chain punches only, ending up seriously hurt or worse. 4. The attempt of applying a trained drill from beginning to end, not responding in the moment, not adapting to changes. Chaos erupts. What ought to be our goals? Let’s call them the good guy action ideals! 1. Bridging the distance safely without getting hit. 2. Timing one’s actions well, causing us to be a step ahead. Instead of speeding up and losing control. 3. Maintaining balance throughout via well-coordinated hand- and footwork. 4. Delivering powerful strikes born out of functional strength and fluid motion while controlling the opponent to disable further attacks. 5. Being able to combat violence without getting caught in a jittery, shaky state of quickly losing control. Conclusion: It’s not really much we want to succeed at, or? Yes, it is difficult, but not impossible. It is part of all of our beginners’ classes, to point out that the attacker is likely taller, stronger, faster, more skilled, plus violent and pumped up, not afraid of getting hurt, most definitely without hesitation ready to hurt and injure you. Want me to top that? He might even enjoy hurting you, dragging it out, playing with his prey. By the way, that’s you. It is always better to prepare for the worst, assume the worst, paint the most drastic picture of what could happen, imagining the adrenalin monster type of attacker. Now a few often occurring technical problems. 1. “Reaching” across the distance, ending up being grabbed, pulled or pushed. 2. Delivering only a few techniques or a combination, not enough to control or break the rhythm of the attacker. 3. Not having enough functional strength, ergo lacking striking power to stop the mugger. 4. “Holding” static defenses for that moment too long, ended up being flooded with attacks. 5. With neither defensive nor offensive actions or a mix of them affecting he structure of the opponent. Nothing left to stop the bout. 6. The preference of using the upper-hand, “lifting’ counters over the arms of the aggressor, disconnecting the imperative coordination of hand- and footwork, the engine of our desired whole-body mobility. 4. stealing the opportunity by driving the attacker instantly into defensive mode. That lack of defenses on the part of the assailant should lead to his knock-out. While possibly never loving it, we learn to train in a constantly elevating stressful scenario, advancing into what I call “the eye of the storm”. Survival under pressure. The biggest problem is often the fight against the attacker, that we are in fact saying “NO” to the attacks. What does that mean? In our Wing Tsun we strive for a training of becoming one with the attacker, using the strength of his attacks, the speed of his attacks, the direction of his attacks. With him against him. 1. Fluidity turns into smoothness, becomes speed. 2. Connecting all muscle groups, toes to fingertips, creates whiplash-like delivery of power. 3. Sliding along the arms, typically learned in the wooden dummy form, pulling and pushing with concave and convex ‘yielding’, tactile sensitivity turns into elasticity. Speed and power and elasticity morphing into being alert in the moment, delivering instant and complete response, which can be of a defensive or offensive nature, also at the same time. Yes, instead of No. Working ‘with’ the attacker, not merely against him. Paper, or in this case your screen, is patient and allows for the coolest and most powerful descriptions of the skill we are striving for. Some may even sound like platitudes. It’s up to the right training and learning methods to turn empty words into reliable skills. Let this be a reminder that perfection is only an ideal. Let’s enjoy the daily challenges of our training. Creative training with demanding yet supportive training partners. Feel where you can go. Enter the attack. Old programs or new programs, where do I miss out? When you are not just showing up for classes, but analyze your progress, when you initiate connecting the dots and start to see the “big picture”, many of us begin to question how much time and effort we spend on which part of our training. In January I wrote a related blog post titled “Five forms of training that enable you to achieve your goals”. Whichever program we work on, we are sometimes frustrated that thus far "it" doesn't work, that it even feels complicated. We may not yet see its importance within the framework of the martial art. It might not make much sense to us. Any program takes time to show its effects in our performance. 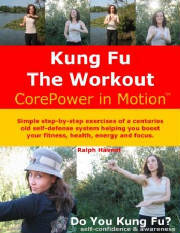 Many parts of the curriculum are amazing functional strength building and movement potential building workout routines. But just like going to the gym to build muscles, to get fit, to lose weight, to gain muscle mass, it all takes time and patience plus the right training tools. And of course a knowledgeable, skilled trainer, instructor, … Sifu. You also have to take into account that you might not realize the interaction between the building blocks of the syllabus. Either way, you need an instructor who knows what he/she is doing. Someone who is actively keeping the program outline alive. Someone who understands how you learn, guides you as to what to train and is a good teacher. Here are a few ideas to help you train a wider bandwidth of programs. What have members of our school been doing? 1. During group-meets of like-minded training partners outside of regular classes, many of the varying participants over the past years requested to work on very specific, often earlier programs. Typically, one member is in charge of the little group. 2. Quite a few also meet outside of group classes with one selected training partner at a time, to work on different programs. 3. In regular group classes I put advanced practitioners in charge, 20 minutes or longer at a time, to work with beginners or intermediate students in their programs. Learning through teaching. Plus, one doesn’t miss the advanced programs, when training and teaching only selected and time-limited class segments. 4. I often recommend enthusiastic trainees to start their own meet-up on days and times selected by them. Then they can determine the program they want the small group to work on. 5. Whatever programs I teach, train in, work on, I often include variations of earlier programs, to make myself see and continue to test, even question the evolving connections between the programs. The extremely helpful point I discovered eventually in my own teaching career is, that by working on advanced programs, we begin to understand earlier programs sooner better, even if we don't train them for a while. This of course requires the continuous analysis of one’s training and progress. It also entails a critical approach to begin to visualize the connections between learning, training and teaching methodology of the technical programs.